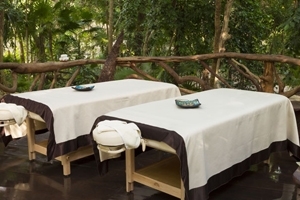 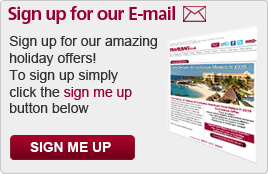 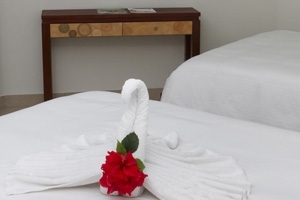 Sandos Caracol Eco-Resort sets itself apart from other Cancun resorts with the special attention paid to providing a service inspired by the ecological significance of its surroundings. 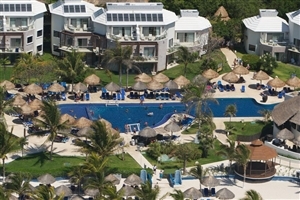 Located on a natural plain, amidst cenotes, mangroves and natural lagoons that make the Yucatan Peninsula such an attractive destination, Sandos Caracol Eco-Resort is the perfect resort for those with a keen interest in nature and ecology. 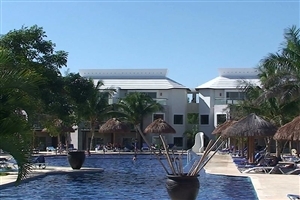 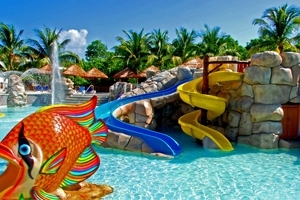 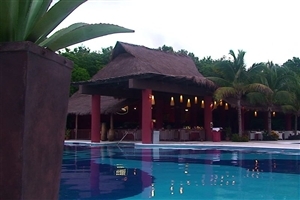 Features at Sandos Caracol Eco-Resort include its own thrilling water park, a broad selection of elegant accommodation and eight gourmet restaurants. 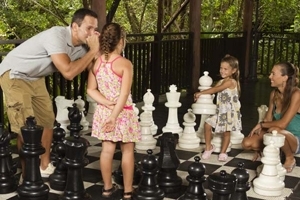 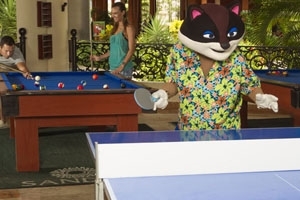 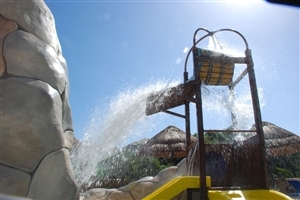 Indeed, the expansive Sandos Caracol Eco-Resort will appeal to the whole family with its own water park, gourmet restaurants and contemporary style. 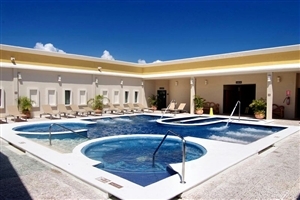 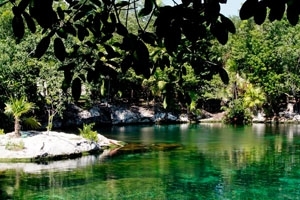 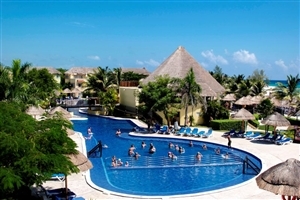 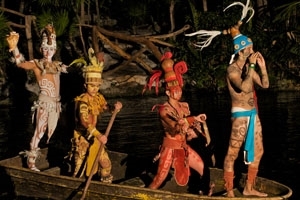 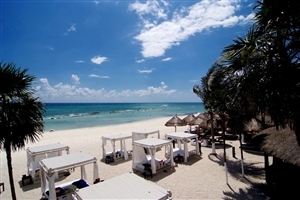 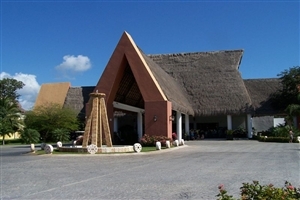 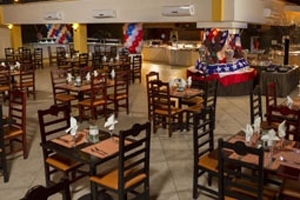 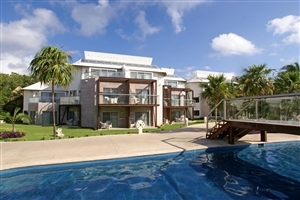 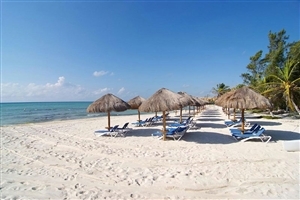 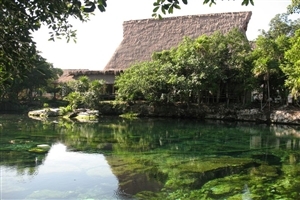 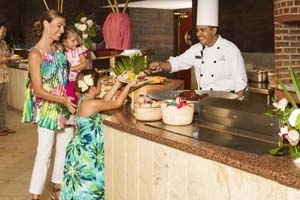 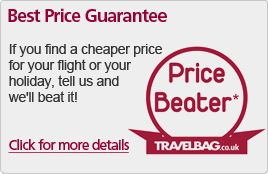 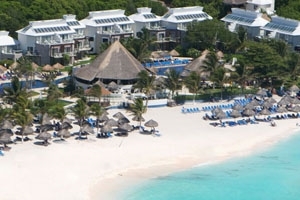 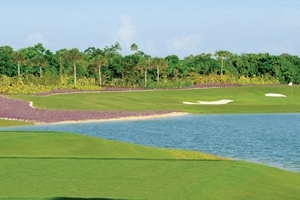 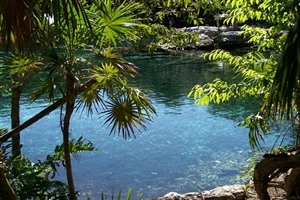 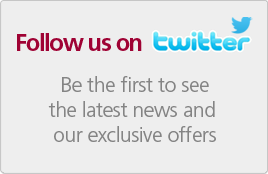 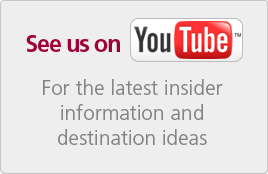 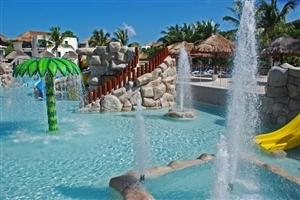 Sandos Caracol Eco-Resort is 45 minutes from Cancun International Airport and 15 minutes from Playa del Carmen. 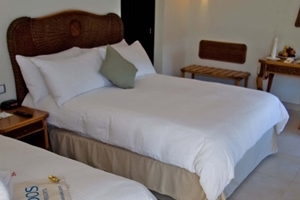 The Junior Suite at Sandos Caracol Eco-Resort is available with one king-sized bed, plus a living area with a sofa-bed. 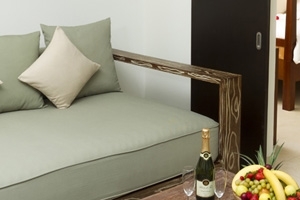 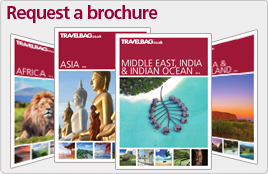 The Junior Suite can be specified with garden, pool or jungle views. 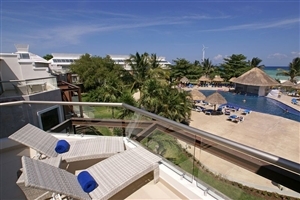 The Royal Elite Ocean View Superior at Sandos Caracol Eco-Resort is available with two queen-size beds and is located on the oceanfront. 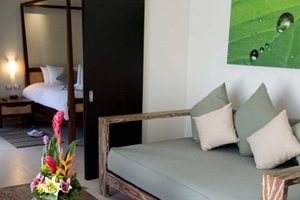 The Double Standard rooms at Sandos Caracol Eco-Resort is available with a king-size bed or two queen-size beds and can be specified with garden, pool or jungle views. 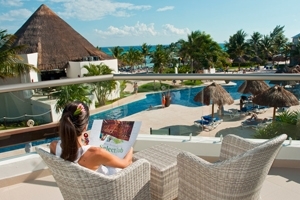 The Royal Elite Ocean View Penthouse at Sandos Caracol Eco-Resort is available with a king-size bed, a Jacuzzi and is located on the oceanfront. 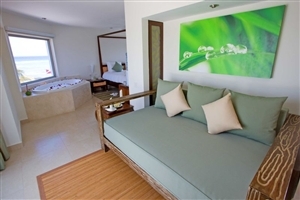 The Deluxe room with Jacuzzi at Sandos Caracol Eco-Resort is available with a king-size bed and a double sofa bed, plus a whirlpool bathtub. 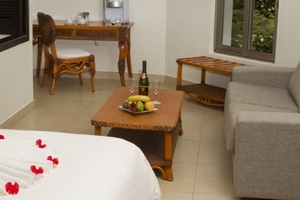 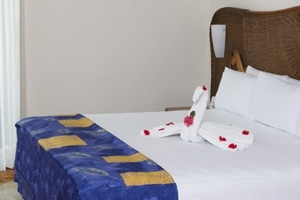 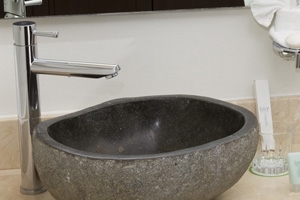 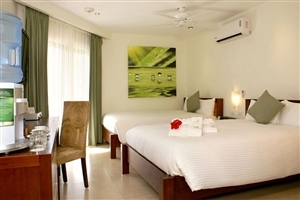 The Deluxe room with Jacuzzi can be specified with garden, pool or jungle views. 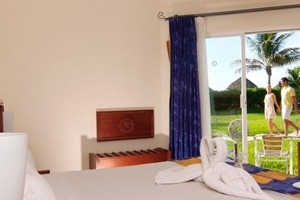 The Royal Elite Ocean View Suite at Sandos Caracol Eco-Resort is available with a king-size bed and is located in front of the ocean and the swimming pool. 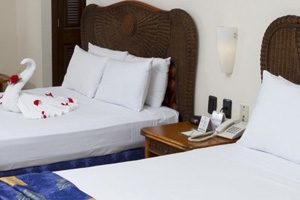 The Suite Superior Select at Sandos Caracol Eco-Resort is available with a king-size bed or two double beds, plus upgraded amenities, including an iPod player, Wi-Fi internet access, a 42-inch television and premium liquor. 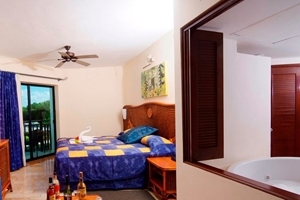 The Suite Deluxe Select at Sandos Caracol Eco-Resort is available with a king-size bed or two double beds plus upgraded amenities, including an iPod player, Wi-Fi internet access, a 42-inch television, a hydro massage bathtub and premium liquor. 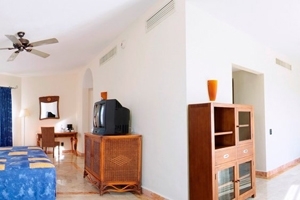 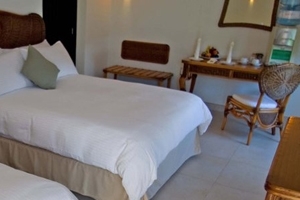 The Suite Penthouse Select at Sandos Caracol Eco-Resort is available with a king-size bed in the master bedroom, plus a double sofa bed in the living room. 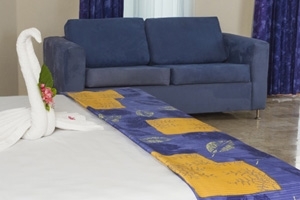 Upgraded amenities include an iPod player, Wi-Fi internet access, a 42-inch television, a hydro massage bathtub and premium liquor.